Life for the group is looking grimmer by the day. It was Khaled Batarfi, who urged Muslims in Bangladesh, India, Indonesia and Malaysia to raise arms in support of their Rohingya Islamic brethren and go to war against what he says are the enemies of Allah. “So spare no effort in waging jihad against them and repulsing their attacks, and beware of letting down our brothers in Burma,” he said in a video message, released by al-Qaeda’s al-Malahem media foundation. That remains highly unlikely. Islamic militants have consistently failed to ferment widespread rebellions in parts of Southeast Asia, where Islam has a long history of syncretism, much to the frustration of fundamentalists. As an example, the best estimates put numbers of the now defunct Jemaah Islamiyah, which terrorized Indonesia and beyond with an extensive bombing campaign for more than a decade, at about 5,000 members at its peak. In Rakhine, stories of children being shot at point blank range, women raped, and satellite photos clearly showing swathes of villages ablaze have become the stuff of daily headlines, vying with North Korea for the lead story in newspapers worldwide. 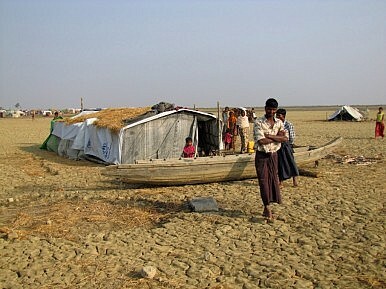 Suu Kyi’s government is arguing that ARSA wants to establish an Islamic state in the country’s north Rakhine province, where most Rohingyas call home. This follows the August 25 attacks on 30 police stations and an army base, dubbed Black Friday. National security adviser U Thaung Tun said the ARSA attacks had “serious implications not only for the country but the region and beyond”. The military says 63 people have been killed by ARSA since October, and has made a point of adding the dead, included Arakanese, government workers, security force members, and government informers. Another 37 people are missing. Myanmar has failed to resolve several decades-long conflicts involving ethnic minorities, particularly along its border frontiers. The arrival of Suu Kyi as a genuine political force at elections in March last year had raised hopes that a resolution to those conflicts would be in the offing. So far, it has not been so. And with the arrival of ARSA on the conflict front, along with some needling from al-Qaeda and Islamic militants abroad, a solution to Myanmar’s internal wars again appears wanting and looks unlikely in the short term.